Learn from leading experts in the thermal processing industry. Read Industrial Heating’s Expert Speak blogs. Helpful and timely technical information from those who know. News and technical content related to the fields of additive manufacturing and/or 3D printing. Technical content related to ceramics and refractories. Technical content related to combustion and burners. 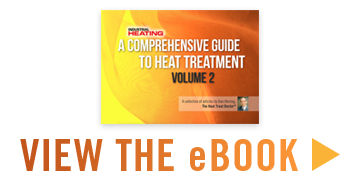 Technical content related to heat treating. Technical content related to heat- and corrosion-resistant materials and composites. Technical content related to induction heat treating. Technical content related to industrial gases and atmospheres. Technical content related to materials characterization and testing. Technical content related to melting, forming and joining. Technical content related to process control and instrumentation. content related to sintering and powder metallurgy. Technical content related to vacuum and surface treatments. A quarterly column featuring pertinent metallurgical or materials-testing articles from professors at Carnegie Mellon University. Educational engineering software developer Art Morris examines a number of combustion topics in this archived monthly column series. Associate Publisher/Editor Reed Miller’s monthly column. Everyday Metallurgy is an archived column series that looks at thermal processing and metals in everyday life. Washington Correspondent Barry Ashby has written this column for Industrial Heating for 43 years. Monthly column written by one of the most influential men in the industry, Dan Herring. Read the archives of this semi-monthly column written by one of Industrial Heating's overseas correspondents. A company profile of a member of the Metal Treating Institute (commercial heat treater or supplier). News for the thermal processing industry covering heat treating, ferrous & nonferrous thermal processes in excess of 1000 degrees F.
A collection of products, services and technologies from companies around the industry. Educational and/or technical papers provided by companies from around the industry. Editada no Brasil pela S+F Editora, a revista Industrial Heating possui 4 edições digitais no ano - Jan a Mar, Abr a Jun , Jul a Set (com o Guia de Compras Anual) e Out a Dez. 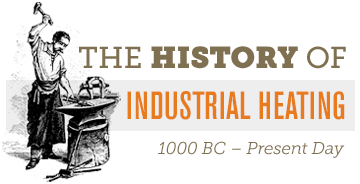 An index of every feature article published in Industrial Heating the past year. A specific product or industry event is highlighted every month. A quarterly supplement published in cooperation with the Metal Treating Institute. Welcome to Industrial Heating magazine's Podcast page. What's a podcast? It's Industrial Heating magazine at a whole new level. You've read Industrial Heating magazine; now it's time to listen. On the job, in the car, or at the end of the day, Industrial Heating magazine's podcast channel provides you with industry news and engaging interviews that keep you up-to-date, informed, and entertained. Whether you listen directly online or download these podcasts to your mobile phone, Industrial Heating magazine is committed to providing you with the same excellent content.